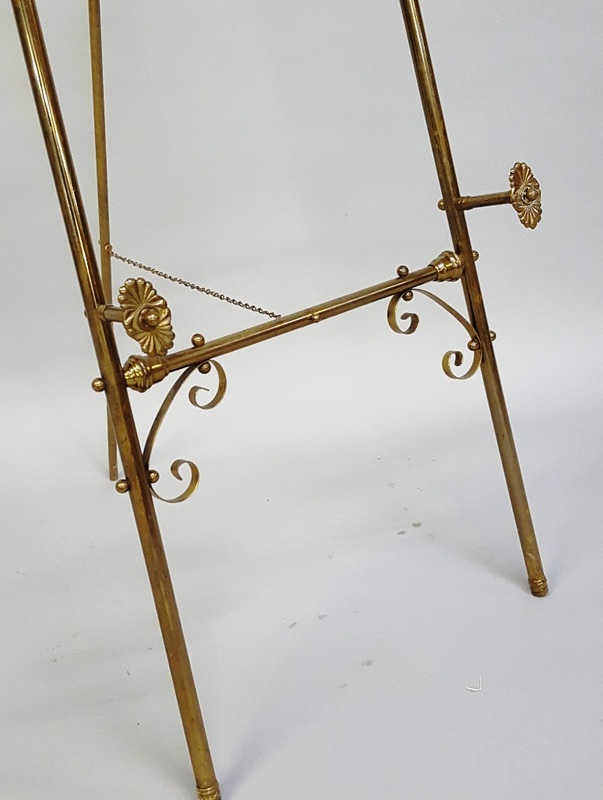 Lot #238 - Circa 1900 Ornate Brass Easel - hgt. 64" w 19". Good original finish. Found in Galesville WI estate. 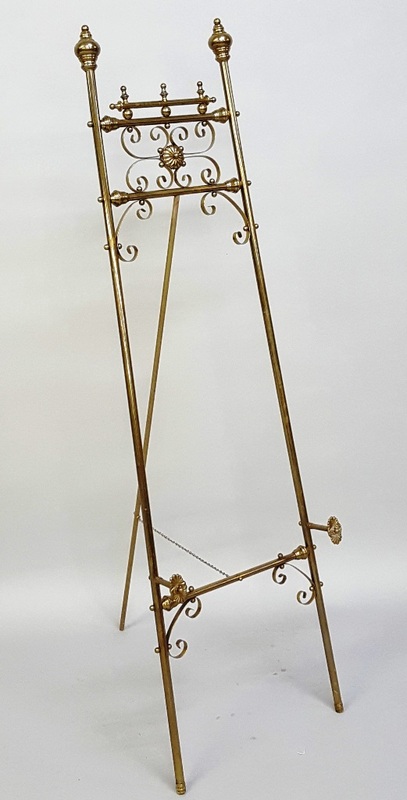 Circa 1900 Ornate Brass Easel - hgt. 64" w 19". 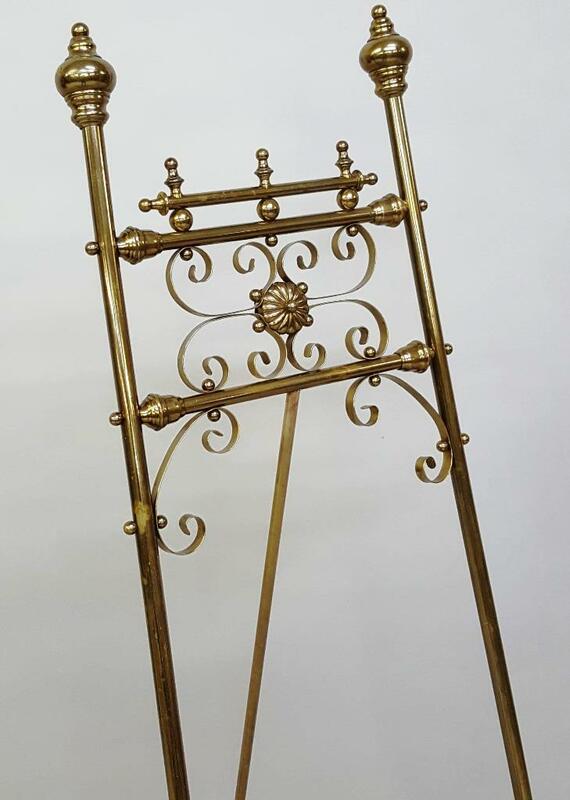 Good original finish. Found in Galesville WI estate.